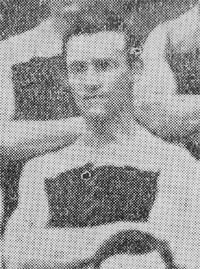 Recruited from Melbourne University, Opie played 27 games for Carlton after debuting in Season 1902. Opie also had a run with Prahran, St Kilda and Sandhurst Juniors. Opie played one game with St Kilda in 1899. He kicked 3 goals in his time at the Blues. 1907 The Riverine Gazette, July 12, reported on the match between Hay and a representative Sydney team. "The match was splendidly umpired by Dr. Opie, of Carlton football fame, and his decisions went unquestioned, while he kept the game fast and open." Jim Opie was a new arrival in the district. Opie passed away on the 20th July, 1883 aged 98. Contributors to this page: blueycarlton , molsey , Bombasheldon , tmd1 , true_blue24 , Jarusa and admin . Page last modified on Wednesday 26 of February, 2014 14:57:21 AEDT by blueycarlton. 1995 Rd 20 - Luke O'Sullivan starring in the reserves.